One of my favorite moments at a wedding is the moment right before the bride walks down the aisle with her dad. 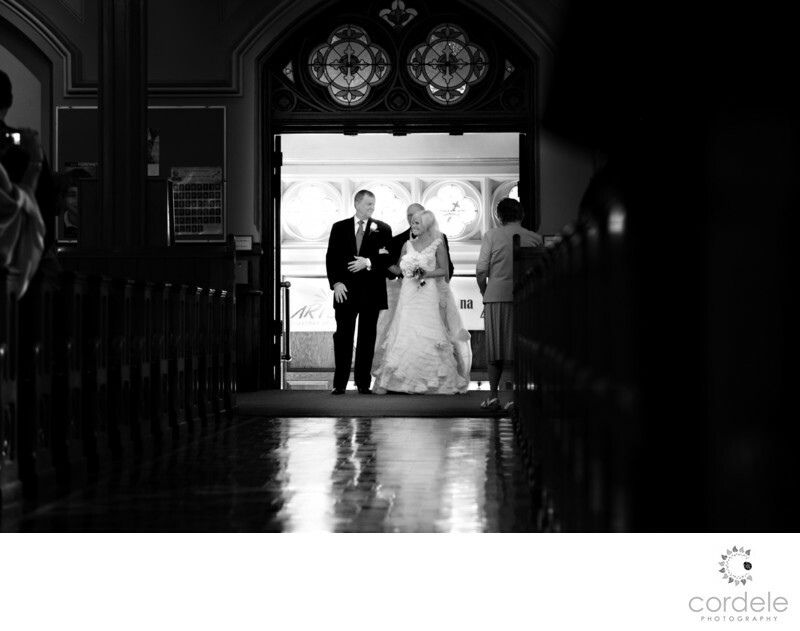 The church doors open and sometimes the bride focuses down the aisle, but most of the time they turn to their dad (or mom) and give this look like "this is it". Its this moment that I can only imagine what they feel and that I hope the photo captures it correctly. This aisle was extremely long and the church was massive. I had my wide lens on and I was hoping to get a photo of the guests watching. Unfortunately I got a lot of cell phones in hands. I decided to remove the guests and just focus on the moment of the photo . The bride and her dad.